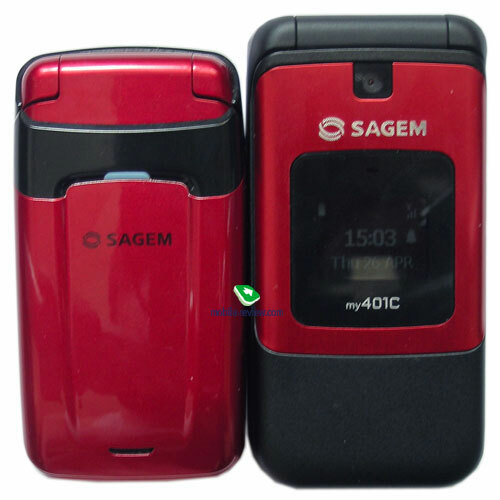 Deja vu, that was the feeling I had after having a glimpse of the Sagem my200C/. A diminutive folder with glossy casing coating presented in several bright color schemes – it feelt so 2003-2004. 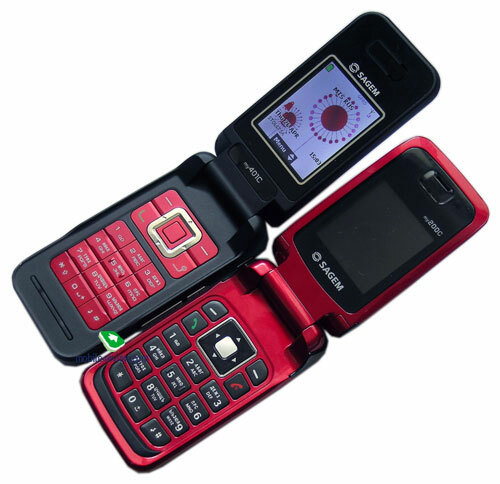 It was the time when the market witnessed a boom of petite devices housed in clamshell-style design. 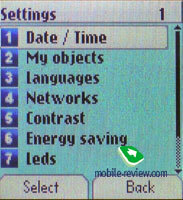 Just having looked at the my200C I instantly remember such phones as Siemens CL50, Samsung A800 and a lot of various models by small manufactures such as Maxon and Hyundai. However these handsets were by no means all the rage due to their awkward usability – way too tiny dimensions, skinny and uncomfortable keys and small displays. Only with the 2004 on the threshold when the consumers’ interest to such models started to abate, the vendors decided to give it the last go and launched some flashy trims with ever-glossy finish, i.e. targeting them primarily at the women audience. 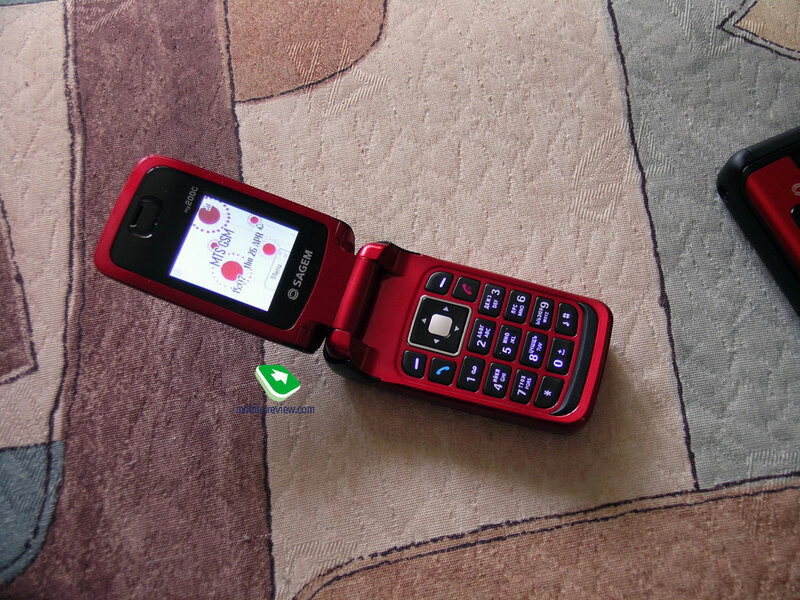 Among women handsets we should point out the folding Samsung T500 presented in January 2003 which was the first phone for women decorated with Swarowski crystals, later this trend was picked up by other manufacturers. In 2005 Hyundai released practically the twin of the T500 - the H-MP728. 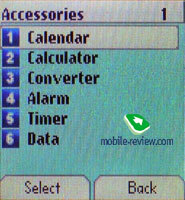 After the year 2005 there was a break in the history of diminutive folder-style handsets, only a few of these were on offer back then. 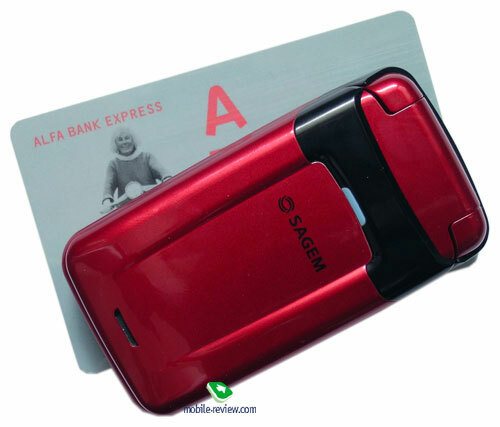 In February 2007 French Sagem announced a petite folder known as Sagem my200C/my202C. 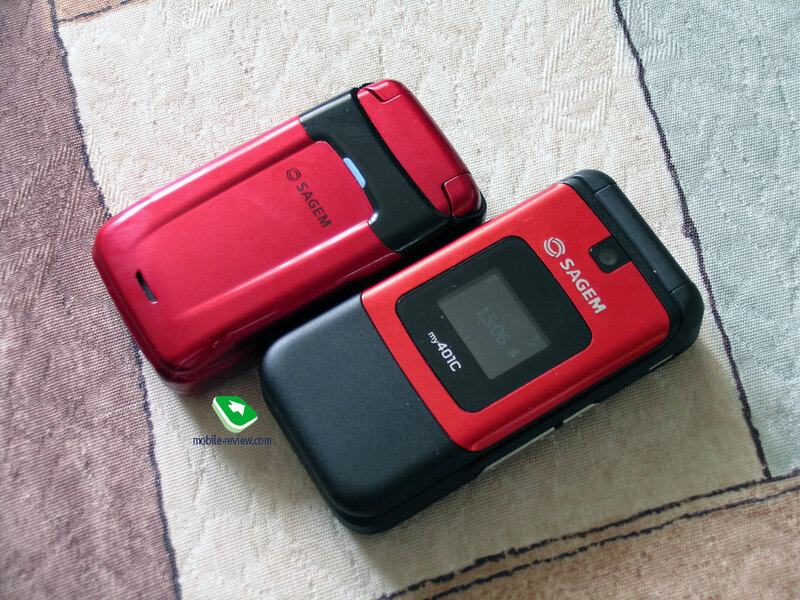 I should say it outright that unlike its predecessors most of which were rather expensive, the model by Sagem belongs to the budget price-bracket, retailing for less than 100 USD. 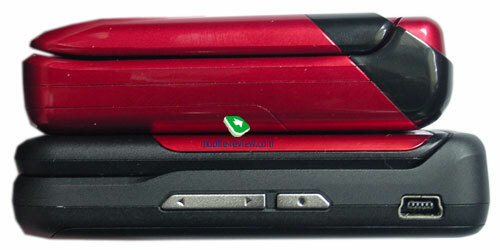 The model comes in clamshell form-factor with internal antenna and no outer display. 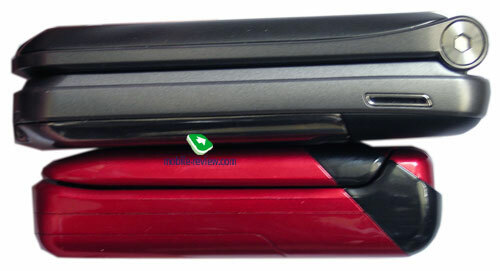 The folder is available in three casing color schemes: black, red, silver and white with pink. Many of you will probably object and say that the model in black or silver would look quite appropriate in men’s hands, and there was no purpose for us to dub it a phone for women in the previous paragraph, even though we did it indirectly. I do agree that in such color solutions the model will suit a man but the dimensions are more suitable for little women hands, for a man it would be quite awkward. If it was a bit bulkier it could claim the position of a unisex model, but in this particular case the my200C/my202c is women-aimed to a greater extent. 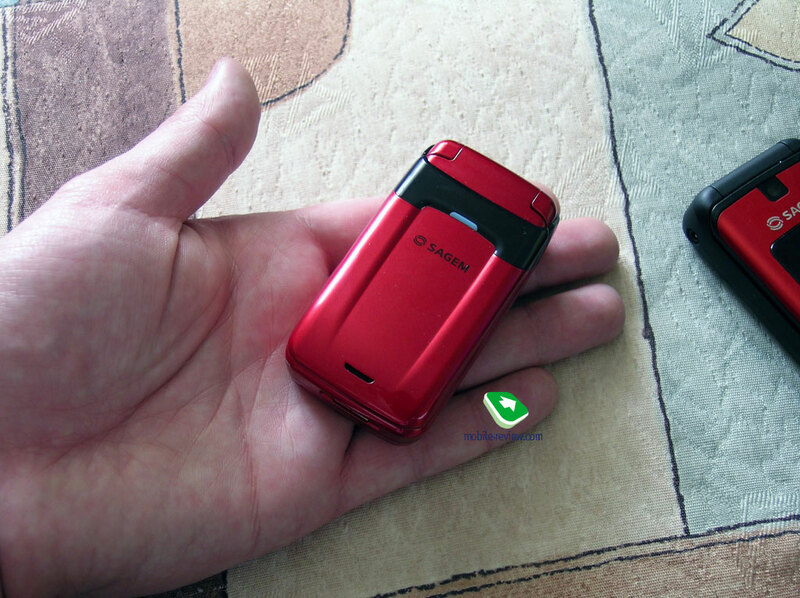 The model measures 79x42x21 mm and weighs 80 g; for comparison – Samsung T500 measures 76x44x23 mm but weighs the same 80 g. You’ll face no problems with putting this folder in trousers or shirt pocket. I shall reiterate that in men’s hands this model simply sinks, whereas its dimensions seem optimal for women. 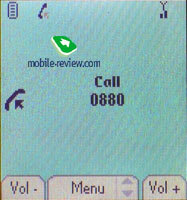 There is nothing special about the handset’s design, these cues are quite prosy and have been in the market for about 4 years now. 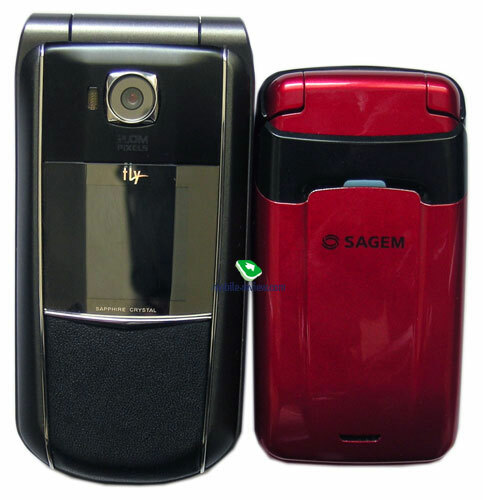 An interesting fact: when I showed the phone to users, hiding Sagem’s logo, they had a very strong opinion that this was an offspring of one of the Korean manufactures. When they found out that the device was designed by a French maker they simply refured to to believe, insisting on that it was a “Korean” and saying that I was just mocking at them. 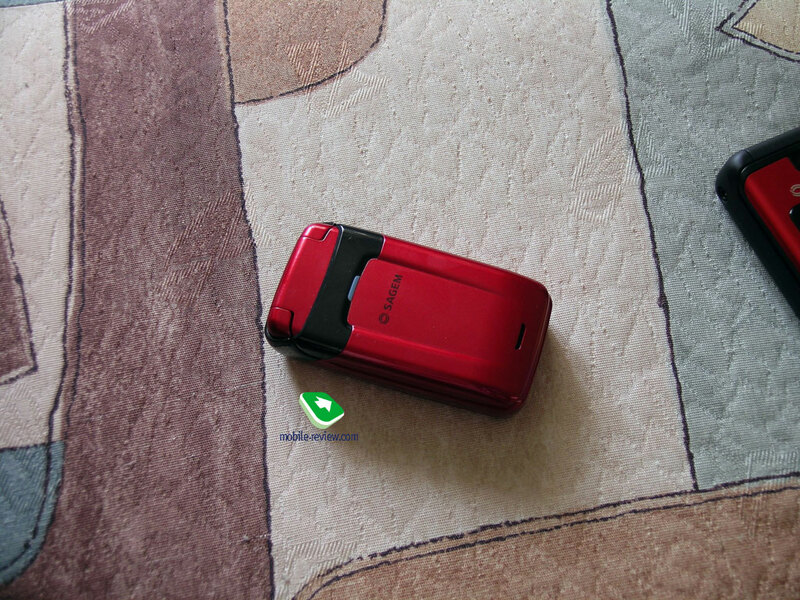 The entire casing is made of quality plastic, the build quality is fine, all details are well-matched to each other. The glossy casing finish is quite smudge-prone, though on the casings painted in bright colors fingerprints are usually not an issue. The coating adds to the casing some extra durability, also it is resistant to scratches of all kinds. Probably, the only drawback of this glossy finish is pretty slippery casing and keeping its size in mind, this turns out to be quite a challenge, as the device feels like it is going to slip out of your hands. 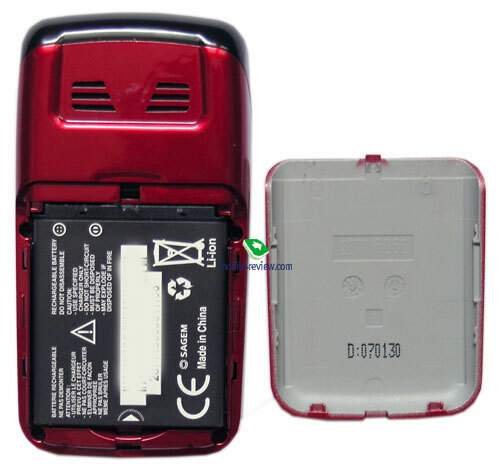 The spines and the upper edge have been left free of any elements, but on the lower edge you will find standard Sagem’s interface slot, microphone socket and the holes for a carrying strap which are available only when back cover is taken away. 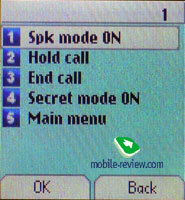 The fascia plays host to a blue service indicator the earpiece slot, owing to which sound during a call doesn’t feel muffled. Of course, the device can be opened with one hand, and for women with long nails it will be a breeze, to begin with. 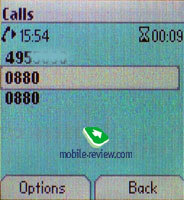 For example, when I tried to fold the handset open I had to catch it with my other hand as it was about to slip out of my hands. Along the folder’s casing is a dent, which is quite deep, yet is practically of no real use. 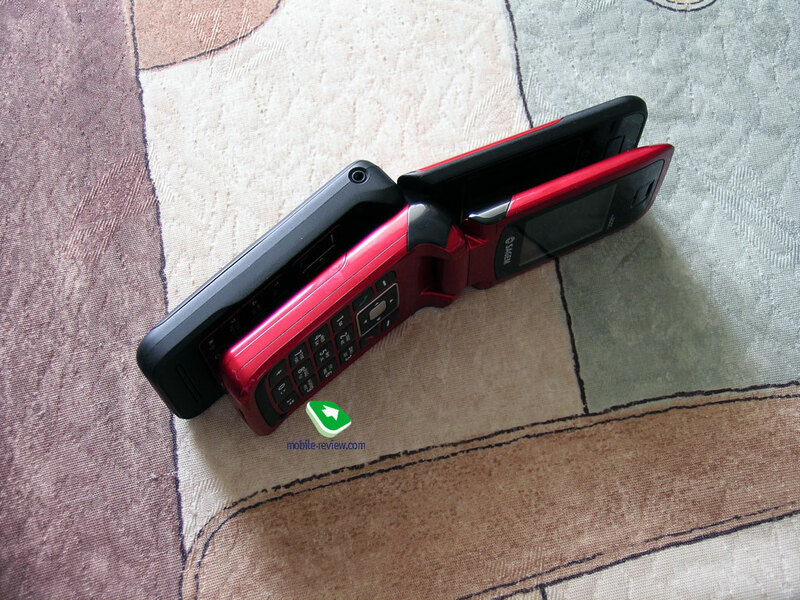 The fact that the upper fold of the handset is thinner that the lower one has a certain impact on the ergonomics, moreover the folder mechanism is a tad stiff. The angle it allows is enough to provide comfortable work with the phone. 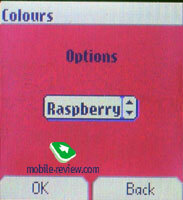 Flipping the handset open you see a small cSTN-display with 128x128 pixels (26x28 mm) resolution and 65000 K colors. Naturally, it has no merits to shout about, in the sun it gets completely washed out. Generally speaking, for budget solutions such display is par for the course. 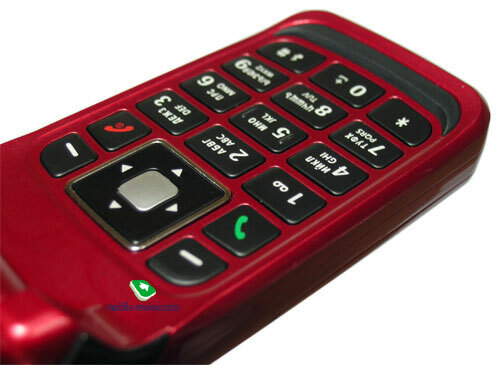 The keypad is made of rubber except for the four-way navigational key with OK button in it, which is made of plastic. 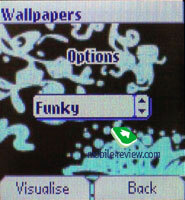 In vast majority of small devices, manufacturers for unknown reasons sway towards style over substance. 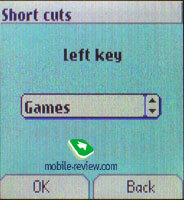 I often had to deal with keypads having much of that visual appeal, yet utterly awkward. 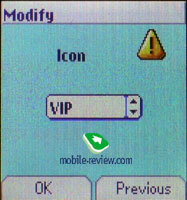 In the case of the my200C/my202C the company has chosen another way having focused on the keypad’s agronomics. 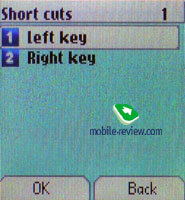 The manufacturer has, in fact, managed to create the keypad which is easy to handle and with moderately sized and well-spaced keys. 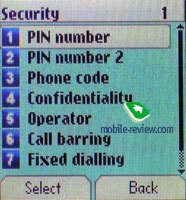 When working with keypad even men with big fingers can avoid wrong presses. 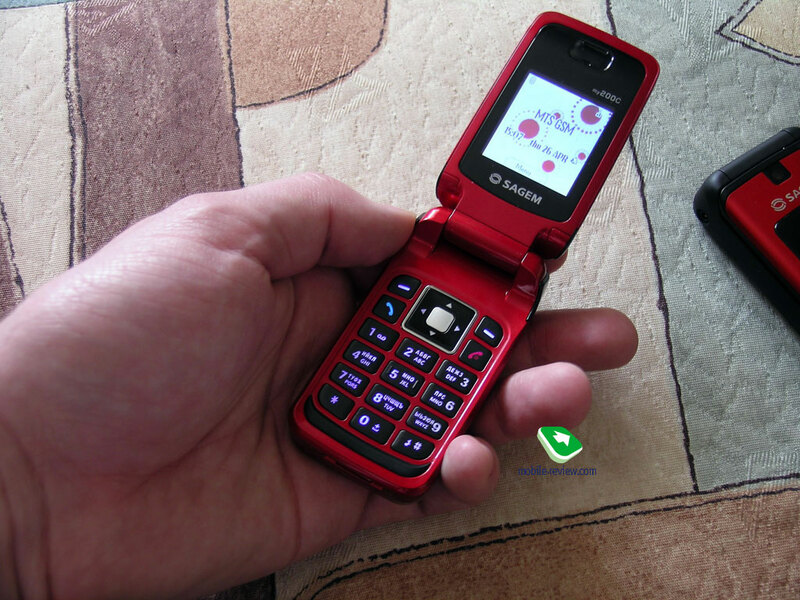 Women, in their turn, noticed that it is a cinch to use the handset’s keypad even having long nails, which is another proof of the chiefly women-aimed design. 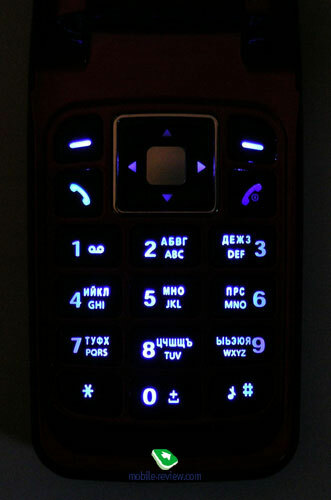 The keypad is evenly lit in blue in the way that all captions on the keys are well-seen. 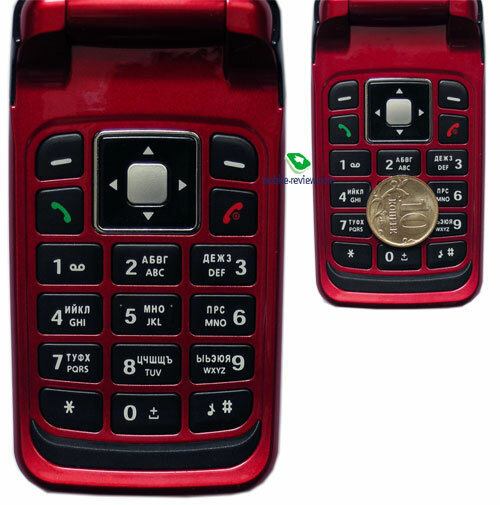 Also the folder mechanism is somewhat stiff, in order to prevent any damage to the handset, when flicking it closed, the manufacturer has armed it with quite bulky rubber pad placed beneath the keypad which does a good job protecting the phone’s casing. On the rear you will find two speaker’s holes; on the face of it, the device seems to have two speakers and the words on the box “Hi-Fi Polyphonic” may delude you. 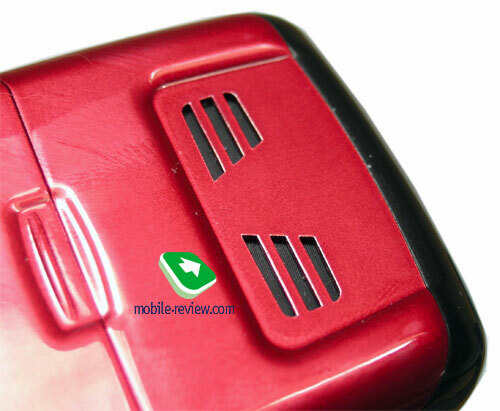 In fact it is not the case here, there is only one speaker embedded in the handset, placed not in centre but moved a bit to the right, and its two holes are more of Sagem’s marketing trick aimed to attract more consumers. The rest of the underside’s real estate is occupied by the battery cover. The mounting is reliable, there is no gap any chance for it to crop up with time. 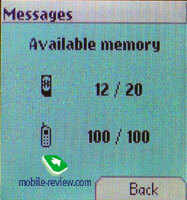 Under the cover is 680 mAh Li-Ion battery; the quoted battery life is 4 hours of talk time and up to 240 hours in standby. 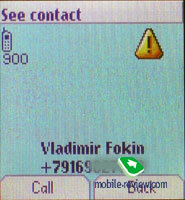 In conditions of Moscow networks the my200C lasted for about four days at 15-20 minutes of calls a day. The battery life test results are quite adequate for an entry-level product. It takes the my200C/mu202C about 2.5 hours to charge from empty to full. Before going directly to the menu review I’d like to highlight what sets apart the models my200c and the my202C. 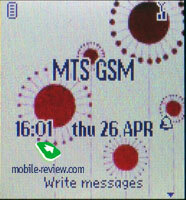 The differences are minimal: the senior modification the my202C wins with bundled GPRS, MMS, WAP and the game mySudoku. That’s about it, we got our hands on the junior edition – the my200C. 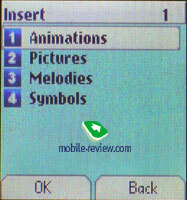 The main menu is displayed in horizontal rows of icons which are placed in the upper part of the screen, upon highlighting any menu item, a big animated picture with the name of the selected section pops up in the centre. 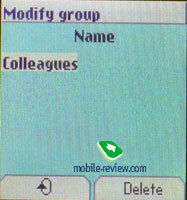 All submenus are viewed in the list form. 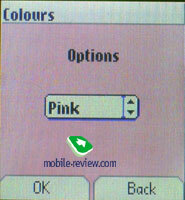 Shortcut number navigation through the handset’s menu is also available. 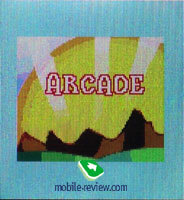 The menu has no outstanding detail level or something and looks somewhat lackluster. 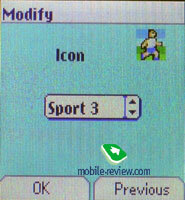 The developers haven’t done very well with service icons design, the icon showing battery charge, for example, is nearly illegible, the signal strength scale is drawn a bit better but is still far away from perfect. What I disliked about the menu were the fonts, they are not bulky in size and the good thing was that that they were at least bold, however even for people with good eyes it was difficult to read them, not to mention those with weak eyes. 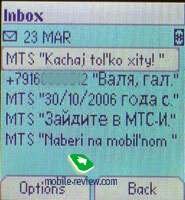 Localization is performed well enough, though there are some defects typical for Sagem-branded handsets which migrate from one device to another. 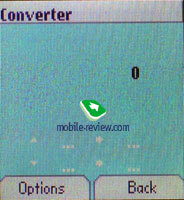 The handset provides user with 240 Kb of free memory available for loading own content. 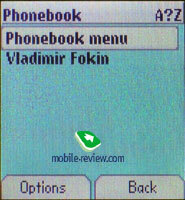 Phonebook. 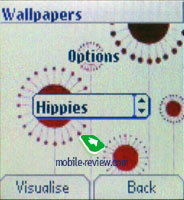 It is typical for most budget handset. 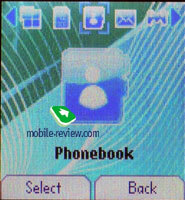 The phone can have up to 100 entries in its memory, to each contact you may assign name and only one phone number Also a contact can be bounded up with one of the 15 groups. 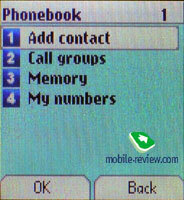 For any group you may put in name, set a small icon and a ring tone and alert type. 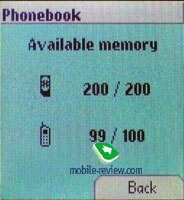 Search in the phone book is performed letter-by-letter; contacts from both phone and SIM-cards memory are displayed in the list. The manufacturer wasn’t generous enough to provide the device with bulk mailing. 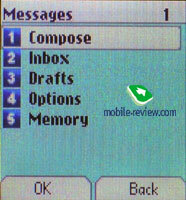 Before sending the display shows you the message’s full text as well as the number which the message is about to be sent to. 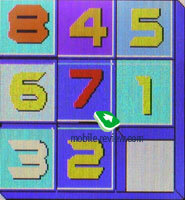 This function is rather handy, as it prevents you from making mistakes either with text or with number. 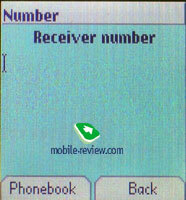 Call lists. 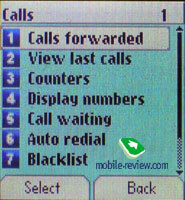 The handset provides you only with one call list which can store up to 20 entries, for each number you will see its type (incoming, outgoing, missed) and call duration. 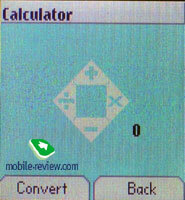 Same numbers are not merged. Sounds. 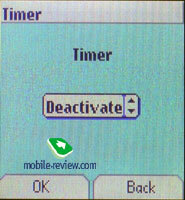 Here you can set up ring tone and alert type. 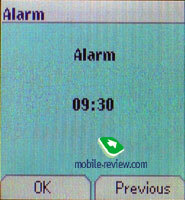 For alert you may pick from the following modes: ring tone only, vibration, vibration and than ring tone as well vibration and ring tone simultaneously. Background. 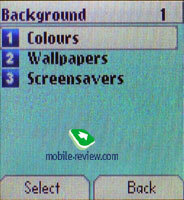 In this menu item you may select menu background color, picture for main screen wallpaper or screensaver. Accessories. Calendar. 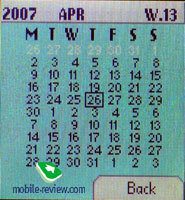 A basic calendar which can be viewed in monthly mode only and lacks the ability for creation of a new event. Games. 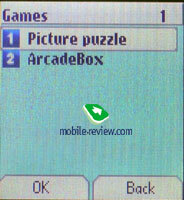 The handset comes preinstalled with two games - Picture puzzle (an analogue to “Tag”) and ArcadeBox (analogue of game “Erix”). 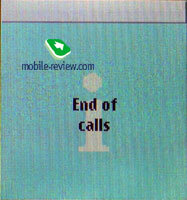 The reception quality is on the medium level, in places with weak signal you can reach the person on the other end only after second-third attempt, at that reception quality in this case, frankly speaking, proves to be awful. 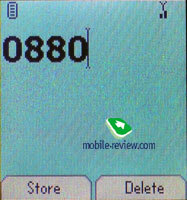 However in places with normal reception the handset performs quite well. The speaker’s volume, as well as the microphone sensitivity, is enough for making calls in almost any environments. 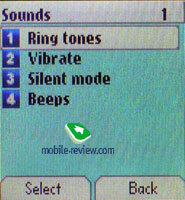 The device has 16-tone polyphony, handset’s memory holds a good set of original tunes (standard for Sagem-branded handsets) which sound quite adequate. 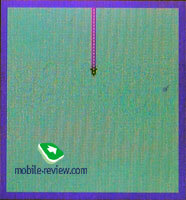 Of course, the handset has nothing to do with “Hi-FI Polychonic” feature as its box implies. 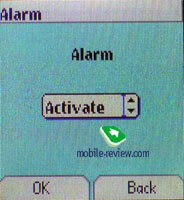 The alert volume is sufficient, the silent alert is rather strong for such device. 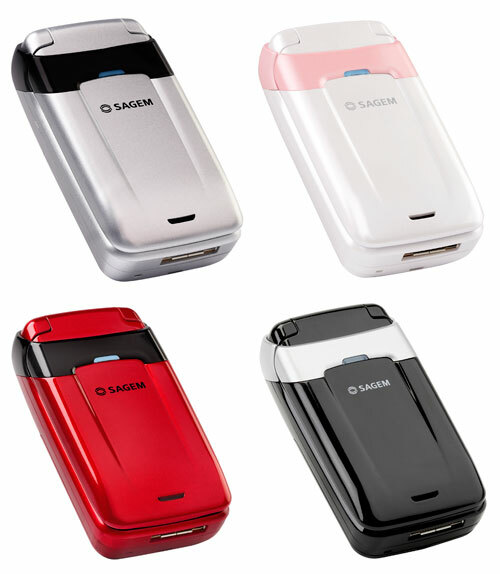 Sagem has adopted the aging concept of diminutive handsets and implemented it without introducing any changes, the Sagem my200C/my202C differs from the old models of 2003/2005 only by the omitted internal antenna. It is quite amusing to look at the handset with functionality of a 3-4 year old offerings, at that not only does it share the suite of features with them - materials and dimensions also feel like guests from the past. Generally speaking, there is nothing bad in this, so looking at this handset some might remember their previous handsets equally small and clad in gloss. 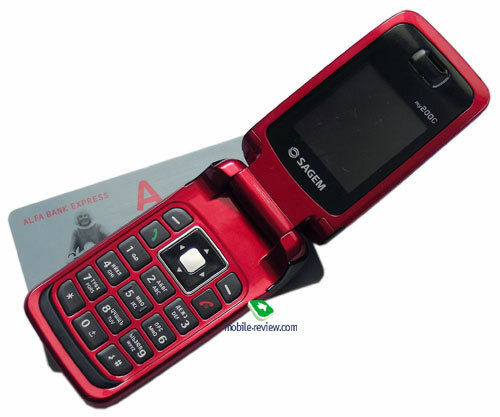 And those who could not afford a skinny clamshell back then now have the chance to get one with Sagem’s help, even though it is a quite late call. 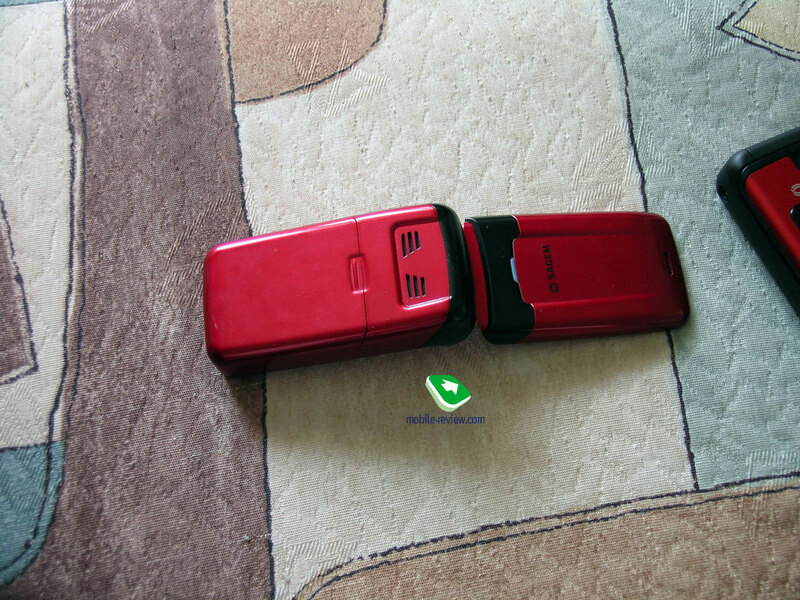 The model belongs to handsets of entry price-bracket, its junior modification is available for 85 USD, the senior one hasn’t already arrived in the market so we have no information about the price yet, but we think that the difference from the my200C will make about 10 USD. 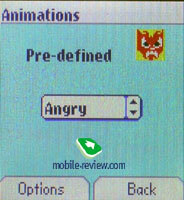 The model has only a handful of rivals that come chiefly from Samsung’s range. It is quite difficult to say which one is better or worse here – when it comes to choosing, consumers, specifically girls, will sway more towards assessing the contender’s visual appeal.